1.3 A jury member may engage one named colleague to help or support him/her in the jury work as a deputy, but only the formal jury member as the right to vote. 1.4 A deputy can represent the single jury member at single meeting, field tests or other occasions. f) if he/she spoils internal relevant news/information. 1.8 The Tractor of the Year organization shall be financially independent from any agricultural tractor manufacturer, dealer or distributor. 3.2 all the shortlisted tractors of the three main categories (Tractor of the Year; Best Utility; Best of Specialized) run for the design award Best Design. 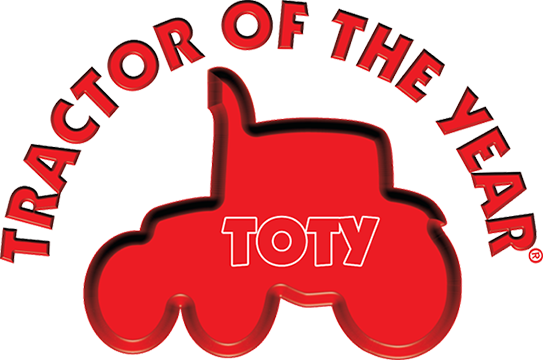 3.5 shortlisted tractors are free to use the “TotY FINALIST” logo. 3.8 the award will be presented to the winning tractors during the awarding ceremony date on a major exhibition. The organization kindly asks to try to limit any kind of embargo on product news shared with jury for the TotY purpose. 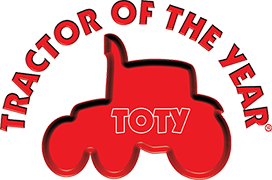 In case ta tractor brand is willing to organize field tests or a dedicated event for the shortlisted tractors, we suggest to focus tests and presentation on the TotY voting parameters. In case will not be possible to organize a specific field tests or event, we suggest to contact the single juror through your local dealers, in order to give the opportunity to test the tractor. We recommend to give to each juror all the information about the candidate tractors. TotY organization is glad to give all the support in order to share information with the jury. During field tests or other events organized for the TotY Jury, any extra activitiy is welcome, but does not effect on the final voting. The organization kindly asks to fit with Trelleborg tires the shortlisted tractors during exhibitions, communication activities and photo shoots dedicate to Tractor of the Year award. Trelleborg team will be glad to fully support this kind of activities.